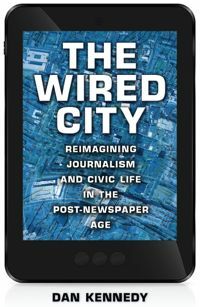 Among the more difficult challenges I faced when I was researching “The Wired City” was trying to figure out the influence — and thus the effectiveness — of the New Haven Independent, the nonprofit online-only news site that is the major focus of the book. So I was intrigued when NPR reported last week that the folks who run Charity Navigator hope to unveil effectiveness ratings for nonprofits in 2016. I suspect it won’t be easy. Nonprofit news presents special challenges. You can measure a food pantry’s effectiveness by how many families get fed, or an orchestra’s reach in terms of attendance, educational programs and the like. But how do you measure the effectiveness of a news organization? The way I tried to answer that question was to look at numbers, but to look beyond the numbers as well. Certainly the numbers couldn’t come close to telling the whole story. The Independent’s main competitor is the regional daily newspaper, the New Haven Register, whose website receives considerably more traffic than the Independent’s (two to three times as much, according to Compete.com‘s very rough numbers) — and which, unlike the Independent, has a daily print edition. How can the Independent possibly exercise the same amount of influence? It can’t. But that doesn’t mean that it’s ineffective. 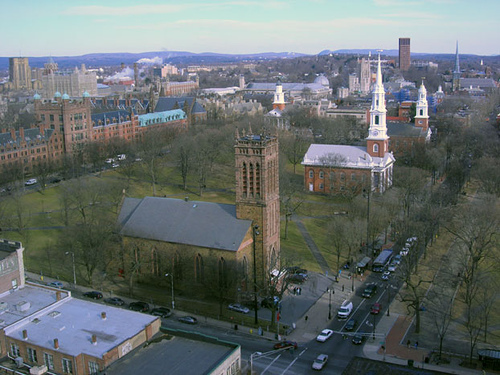 Since it’s not a mass-circulation outlet, the Independent relies on reaching civically engaged people — city leaders, neighborhood activists and anyone who takes an interest in what’s going on in New Haven on a daily basis. One issue stood out for me as an example of how the Independent could be effective while reaching a niche audience. In the fall of 2010 the Independent — following the lead of the Yale Daily News — began reporting on incidents in which police officers ordered people not to video-record them while they were making arrests and engaging in other activities. The Independent reported on the story for months, and revealed that one man on a public sidewalk had his cellphone confiscated and the video erased; the man was charged with interfering with police. The Independent’s reporting led to real reform. An investigation was conducted. Mayor DeStefano and the police chief at that time, Frank Limon, ordered that officers stop harassing people trying to video-record their actions as long as they weren’t interfering in police business. Mandatory training in how to respond to video-camera-wielding members of the public was added to offerings at the police academy — training that Independent founder Paul Bass and I observed during a visit to the academy. And state Sen. Martin Looney, a New Haven Democrat, introduced legislation to make it clear that such recording was legal. The Independent also builds influence through public events — community forums such as political debates and other events that are webcast and covered by other media as well. A particularly prominent example was a school forum in late 2010 starring education-reform critic Diane Ravitch. According to the Independent’s internal counts from Google Analytics and Mint, the site receives between 120,000 and 140,000 unique visitors a month. The Independent’s Facebook page has been “liked” 3,443 times as of this morning. The Independent’s Twitter feed, @NewHavenIndy, has 4,486 followers. The site’s weekly news email has about 4,000 subscribers, according to Bass — up about 1,000 over the past year. A separate arts email has about 5,000 subscribers. According to the NPR story, reported by Elizabeth Blair, some nonprofits are resisting Charity Navigator’s attempt to measure how well they’re doing. And there’s no question it will be difficult — maybe impossible — to come up with a fair system that everyone will agree on. But it seems worth trying, especially in journalism. With traditional for-profit news, the relationship between revenue and quality is only tangential. News organizations are judged by how well their advertising moves products and services. You’d like to think that advertisers would rather be associated with quality news than the alternative, but that’s not necessarily the case. With nonprofit news, the better the journalism, the more influence it will have — and the more attractive it should be to funders. Photo (cc) by Anne and published under a Creative Commons license. Some rights reserved. The New Haven website NHV.org has posted a story on the Anderson-Canner Little Free Library, a “secret” mobile library that popped up recently in the East Rock neighborhood. And there’s a video in which “The Wired City” pops up. How about that? I had a lot of fun talking with old friend Steve Brown of WBUR Radio on Oct. 8 as part of the East Bridgewater Speakers Series. Our conversation — along with some great questions from the audience — was carried on East Bridgewater Community Television. Long, long ago — OK, on July 3 — I sat down with Susan Seligson of Bostonia, which is Boston University’s alumni magazine. Weirdly enough, I was thinking about it earlier today and wondering what had happened. Well, Susan emailed me a little while ago to let me know that our conversation is now online. How about that? I’ll be doing three events for “The Wired City” during the next week. This Saturday, Oct. 5, I’ll be at the Tewksbury Public Library, 300 Chandler St., at 2 p.m.
On Tuesday, Oct. 8, I’ll be at East Bridgewater High School talking with my friend Steve Brown of WBUR Radio (90.9 FM) from 7:30 to 9 p.m.
And on Wednesday, Oct. 9, I’ll be speaking at Northeastern’s Snell Library from noon to 1:30 p.m.